Trick questions often invoke us to use the most logical responses to the questions first. These answers are typically wrong. Journalists sometimes use intricate questions to create better story lines, and to also extract information that probably wouldn't be extracted otherwise. Lawyers use trick questions to trip witnesses up during court hearings. Sometimes tricky questions are used by doctors to determine if the patients they are treating are sane. Some teachers like to use trick questions on exams and tests, even though this has been deemed a controversial tactic. As doing so has often been attributed to academic failure. Do you know what can go up a chimney but can't come down it? 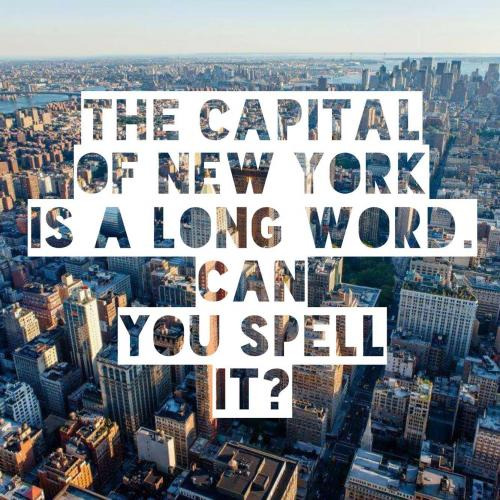 Or if a ton of feathers or a ton of bricks weighs more? 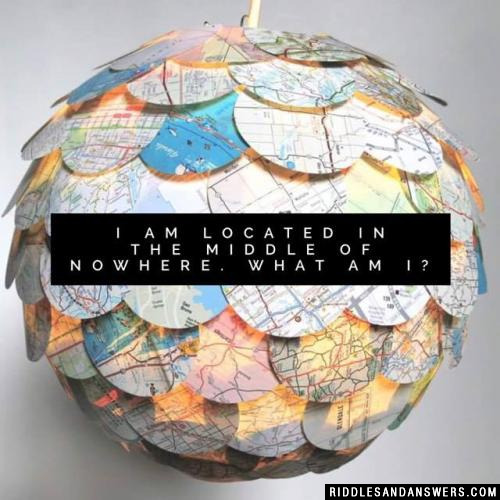 Trick questions are all around us, and help us to exercise our brain power in many different ways. We all know that being tricked by a question is something that is often enhanced with use of the element of surprise. But this collection of questions is sure to have a few brain teasers which could stifle just about anyone at any given time. Whether you plan to interview for a big job soon and want to brush up on your ability to answer trivial questions, or if you are just looking to have a bit of fun while exercising your brain, this collection of questions will help to appease your mental appetite. What are two days of the week that start with the letter 'T,' that aren't Tuesday and Thursday? How do you keep a dog from barking in the backseat of the car? You cant take a picture with a wooden leg. You need a camera (or iPad or cell phone) to take a picture. Jessy was an average girl that LOVED sugar. One day she decided to make a batch of cookies. She looked in her cabinet and saw that there was only one cup of sugar in there. Jessy went to the store and bought three cups of sugar. She put them ALL on the table. Jessy takes one. How many does she have? If you guessed one... you are absolutely right. There were some of the best tricks in this quiz. I will only tell one. But first I will tell you why you should have got that answer. In the beggining it says "She looked in her cabinet and saw that there was only one cup of suger in there." Many people forget about that part. Also, some people think that the riddle says that she takes away one. She doesn't. she TAKES ONE. She has ONE. 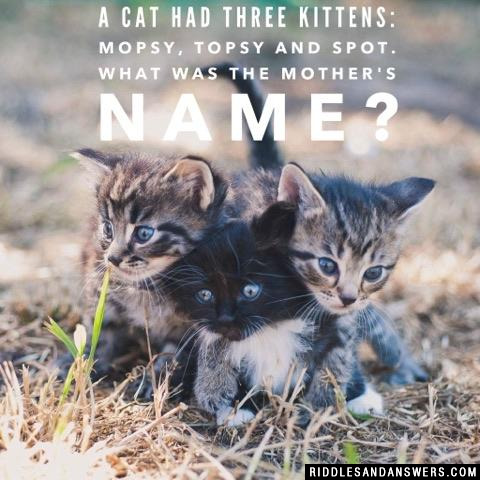 One trick used in this was that I used many extra things in it that didn't have to do with the riddle. It just makes you examine them harder and gets you more confused. 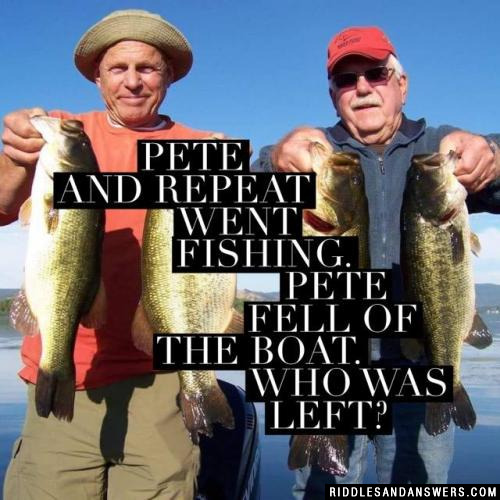 Pete and repeat went fishing. Pete fell of the boat. Who was left? Would you rather enter a pool with a man eating shark, or a pool with ten electric eels? If you do not wish to die, join the man in his feast. Notice the man is eating the shark, since there are no commas to make it "a man, eating shark" and there isn't a dash to make it "a man-eating shark". Can you come up with a cool, funny or clever Trick Questions of your own? Post it below (without the answer) to see if you can stump our users.